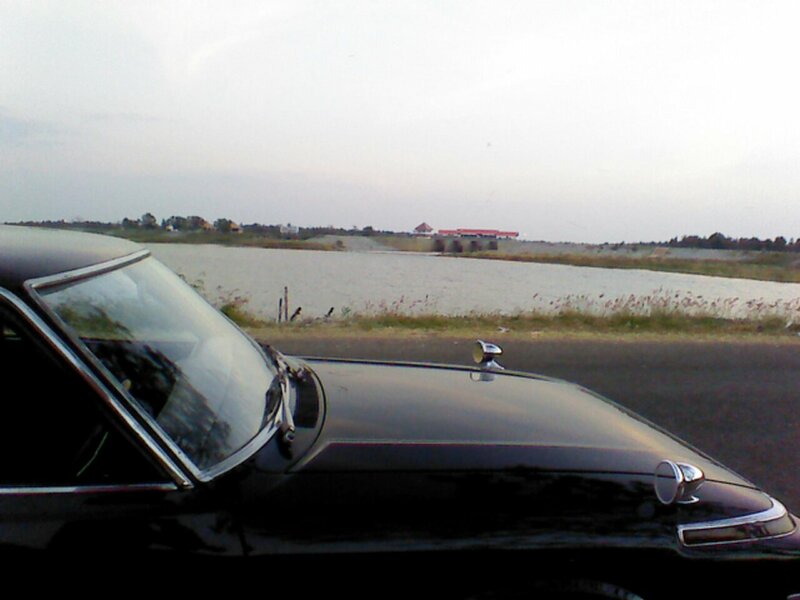 Taro came to visit, so I brought him along on an overnight English camp to the reservoir at Lampao Dam in Kalasin. Usually this point is so crowded with people going to the “beach,” I can’t wait to leave, but because off the cold weather it’s just our group here today. At sundown, even the souvenir vendors had already left… and getting here this morning in my Crown was one of the best drives I’ve had in a long time. She is queen of the road. What sort of weather is considered “cold” in Thailand? I’m sorry if this is a stupid question, but does it ever snow in the non-mountainous areas? OK, anything below 24 degrees Celsius (75 degrees F) or so is considered cool or even cold to most Thais. Anything under 17C (63F) and you start seeing ski jackets and ear muffs come out (not kidding). It doesn’t snow in Thailand, or at least not that I’m aware of, although I saw a newspaper clipping from fifty years ago when there was a freak occurrence of snow that piled up on the ground up in the mountainous north. A couple years ago it hailed in our town and broke a couple windows on my house, though. Interesting. Speaking of Thailand and snow: have you heard that British avant-garde violinist Vanessa Mae will be skiing for Thailand at the Sochi Olympics? She’s got balls—she’s 35, but she made the qualifying runs, so she’s on the Thai team now. Yeah, her father is Thai or something. She’s a stud! Next PostNext Why you should never let me play scrabble..